Galungan is the most important holyday. This symbolizes the victory of virtue (dharma) over evil (adharma). 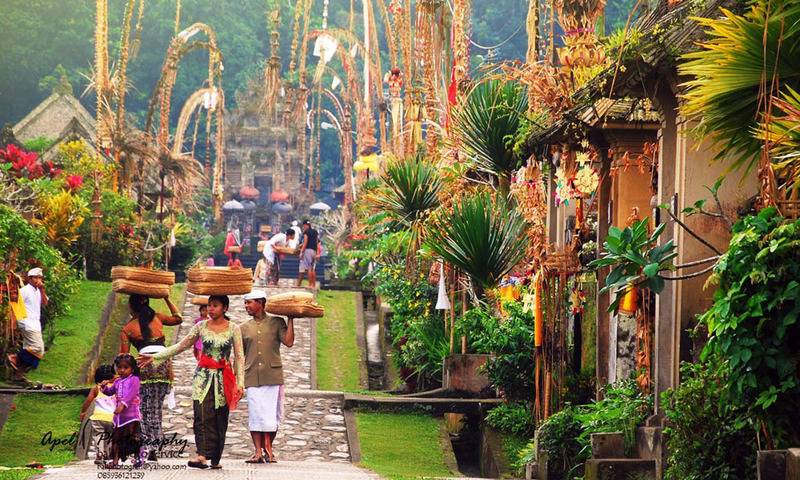 On Galungan every family puts a “Penjor” a tall bamboo pole, placed on the right side of the entrance to the house compound. 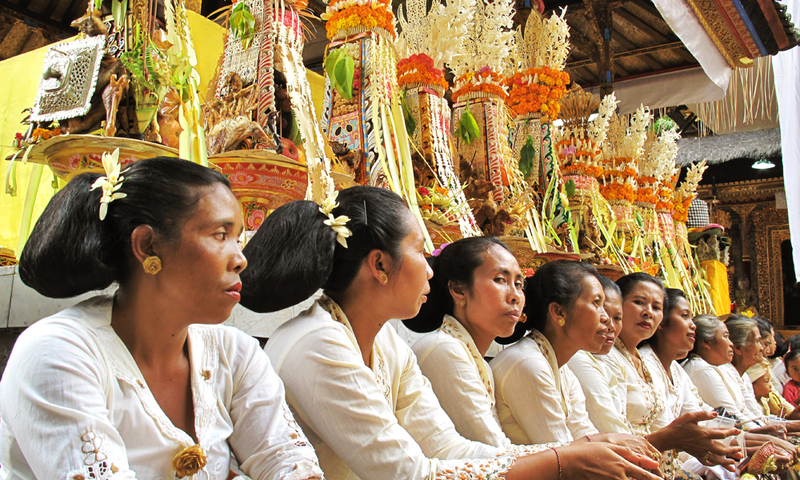 Each Penjor is decorated with a woven coconut leaves, fruit, cakes, flowers and other the gifts of nature. People attire themselves in their finest traditional clothing and jewels to wear to their temple and over thanks.